As part of building the Mound City 1862 layout, I have had to learn about Civil War era railroad equipment. It is clear that railroading in the early days was tough and full of hazards. I will be showing the partially completed layout at the Small Layout Design Meet on June 1, 2013. I prepared the following to help explain the equipment and why it may look “different” from what people are used to. 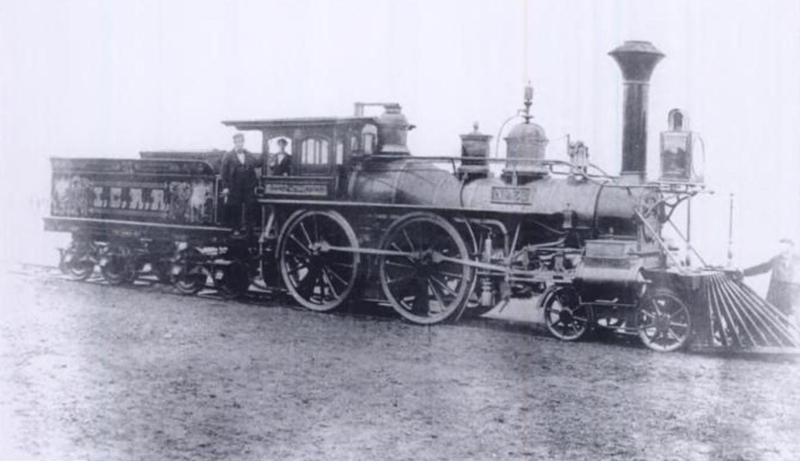 The American 4-4-0 was still in its infancy when the American Civil War started in 1860. Up until the Civil War many manufacturers tried their hand at building locomotives. Although there were many to choose from, the Illinois Central purchased Rogers 4-4-0 locomotives almost exclusively except for a few early 2-4-0 locomotives and those inherited from other roads. The Illinois Central experimented with coal fired locomotives in the 1850’s and had begun to change all locomotives to coal when the war began. A Rogers locomotive of 1850 was not very heavy compared to locomotives from the late 1800s and could only pull 30 (28’) cars on level track. The locomotives were highly decorated and were the engineering marvel of their day. Locomotives of the 1850s and 1860s did not have many of the modern amenities we have come to know. Locomotives did not have brakes except for on the tender. The locomotive would use its whistle to signal a stop wherein several brake man would hop from one car to another setting brakes on each car manually. Air brakes and other safety appliances were yet to be invented. Link and pin couplers caused the death and maiming of many railroad workers. Speeds were slow and most track was light iron in a “T” shape. Some southern railways were still running on strap rail at the outbreak of the war. 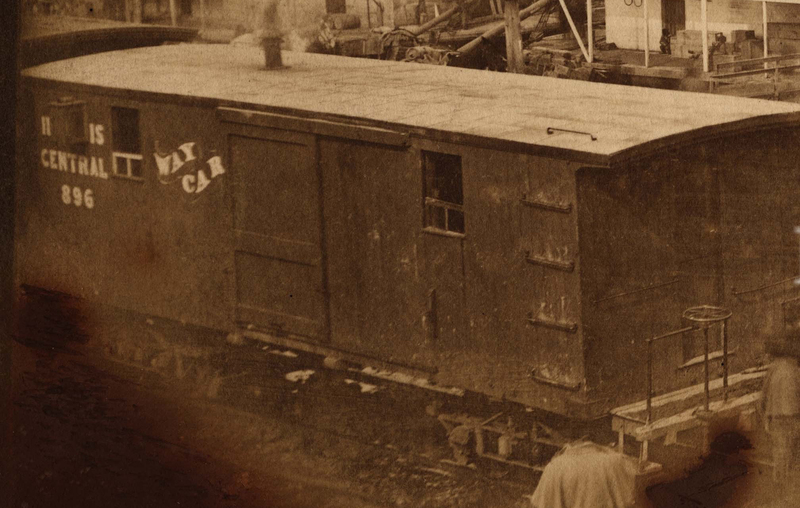 There were two primary types of freight cars during the Civil War, “house” cars and “flat’ cars. The house car was the forerunner of the boxcar. It was the proverbial house built on the flat car. Typical era cars were anywhere from 28’ to 36’, the smaller be much more common. During this time the railroads did not exchange cars. Most railroads did not even connect with each other. Reporting marks were simple amounted to a number and the name of the road (but not always). Each railroad had its methods of construction. House cars were comprised of all wood construction. On most Civil War era cars even the trucks were made of wood. The arch-bar truck was just starting to be used at the outbreak of the war. Most house cars did not have external truss rods although most flat cars did. House cars were for the most art constructed using an internal truss style bracing. Perhaps early car manufacturers though truss rods were unnecessary with the truss design. Many also had round roofs and end platforms. Cabooses had not entered the vocabulary yet but the need for a car for the crew was at the forefront. A unique car called the “way car” or “conductor’s car” was showing up on many railroads. Many old images show this car as a converted house car. 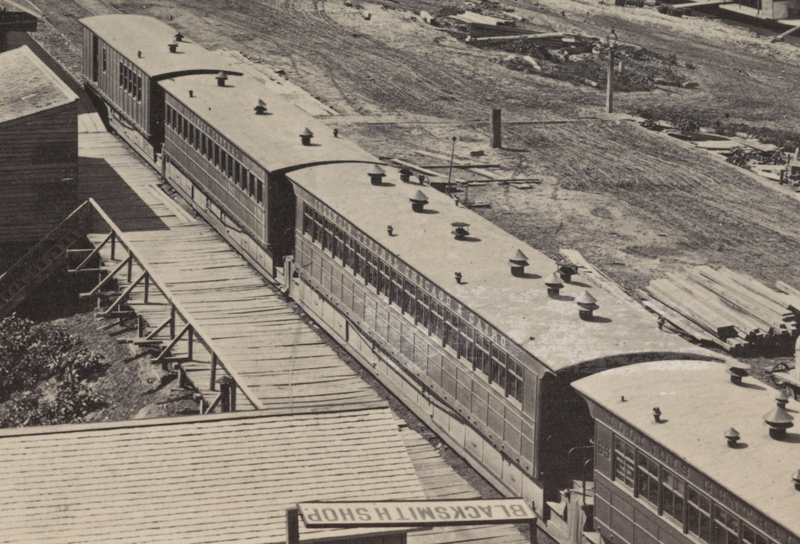 Amenities were few, but from the images we can see the caboose would soon be a reality. All railroads during the time depended on passenger traffic. The Illinois Central continued to run regular passenger service to Cairo and Mound city throughout the war. Passenger cars of the time had rounded roofs, roof vents, end-platforms and skirting to try and keep dust off passengers (the only fresh air was through an open window). Military passenger trains used equipment that might have been slightly better than stock cars. Many times they were house cars with a few openings cut out. The war did see the use of specially fitted hospital cars. Although no photos exist of these cars, descriptions tell passenger cars converted to hold stretchers stacked/hung to fit three soldiers vertically. More Information on American Civil War Railroading is available on the web at the Yahoo Civil War Railroads & Modeling Group (http://groups.yahoo.com/group/Civil_War_RRs/). I’m late but until now I’ve never seen this article and your redirect to my site. I thank you for that!! For now I do research for a new exhibition style H0 ACW layout. Greetz, Ronald Halma, the Netherlands. Ron – I’m researching the “Cowards of Harpers Ferry” that surrendered at HF and were transported from New York to Chicago in ‘cattle cars’ (40 men per car) and am wondering how many cars would a civil war locomotive typically haul? Also, on those lines, what would you estimate their speed to be? Hope you can help with my math.